You've already heard that we are making some changes in the kitchen but that's not the only room in the house that will be seeing change soon. Soon after we bought this house the first thing we did was to wipe out the old kitchen and start from scratch, replacing all appliances and cabinets with versions that were a total opposite to the ugly beige contractor kitchen first built with the house. Now we have the larger bathroom (master) and laundry room that need updating and I'm so (SO) excited that the laundry room is finally getting a facelift. It's not a part of the house that I share often on the blog, I mean we all love living rooms, bedrooms and kitchens but we rarely talk about bathrooms and mud/entry/laundry type of rooms despite being high traffic areas that get used nearly every day. Our laundry room currently untouched (spare the new simple light fixture) the original beige linoleum floor, beige walls and honey colored cabinets, just like what our kitchen used to have. Yuck. To begin with we desperately needed a new washer and dryer. I know some of my European and Australian readers don't use a dryer but I cannot live without it, or at least I don't want to so buying a new pair was a must. We are staying very simple with this and going for mostly white to match the majority of the house, and also because this room receives 0% natural light, I want the feeling of brightness. Nothing ground breaking here, this is all about making the room efficient, clean and organized. I am also happy to share that I have partnered with LG to try out their SideKick which functions as an additional washing machine in the footprint of a laundry pedestal. From now until October 19th LG is having a promotion: buy a 4 piece laundry bundle* and LG will upgrade you to an LG SideKick™ at no extra cost! Check here for more info. Stay tuned for progress, we are going to start the tile work this weekend thanks to my handy husband. OOO love! Pick me ups is always a plus! I'm in the process of updating aspects of my house. So my house is old and small so I have to get very creative with what I do. It looks like a detached row home. 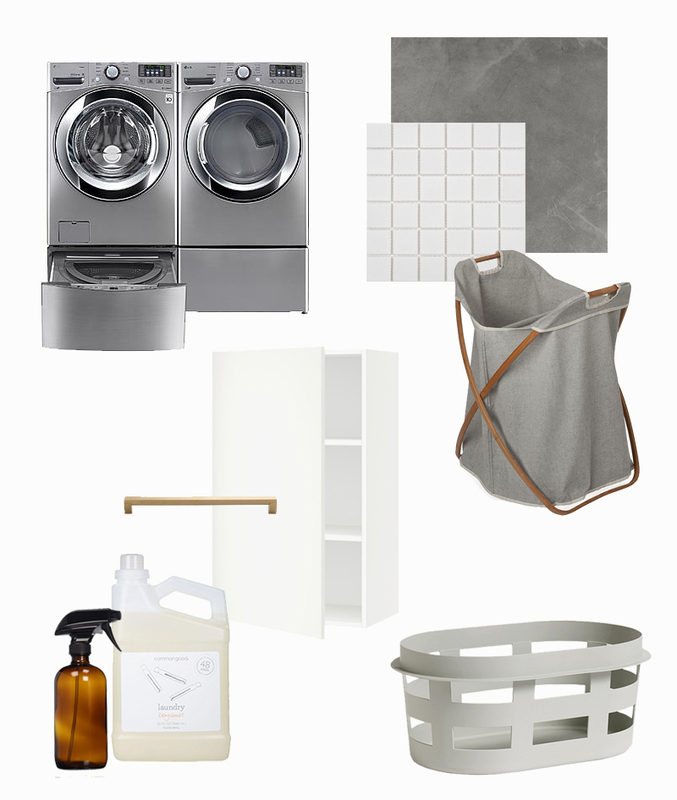 One piece that we are going to change is adding a stackable washer and dryer to my bathroom. My contractor is going to (hopefully) build off of the washer/dryer so it's almost a laundry room. I'm very excited.